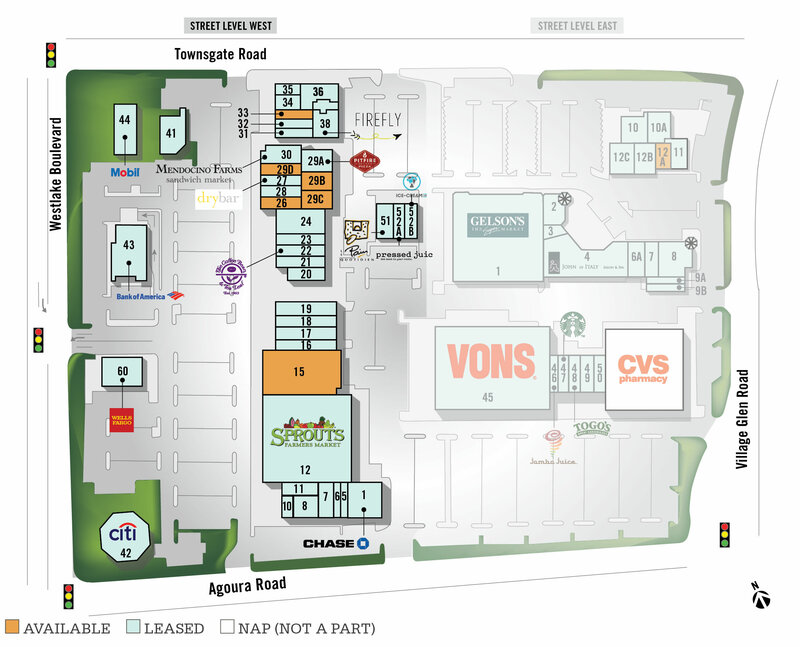 Westlake Plaza and Center is a 282,598 square foot shopping center located in the City of Thousand Oaks. Urban One was hired by Regency Centers Corporation to assist in a large-scale redevelopment of the center, which is anchored by three grocers—Sprouts Farmers Market, Vons, and Gelson’s—and has over 50 operating tenants. The redevelopment of the center included site and landscaping improvements, façade upgrades, and the signing of a number of new leases. Urban One’s role on this project has been to assist in all facets of construction management, as well as overseeing tenant coordination with both incoming and existing tenants. 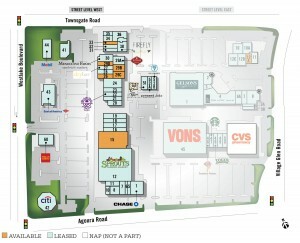 Westlake Plaza & Center is a 282,598 square foot shopping center located in Thousand Oaks, CA. 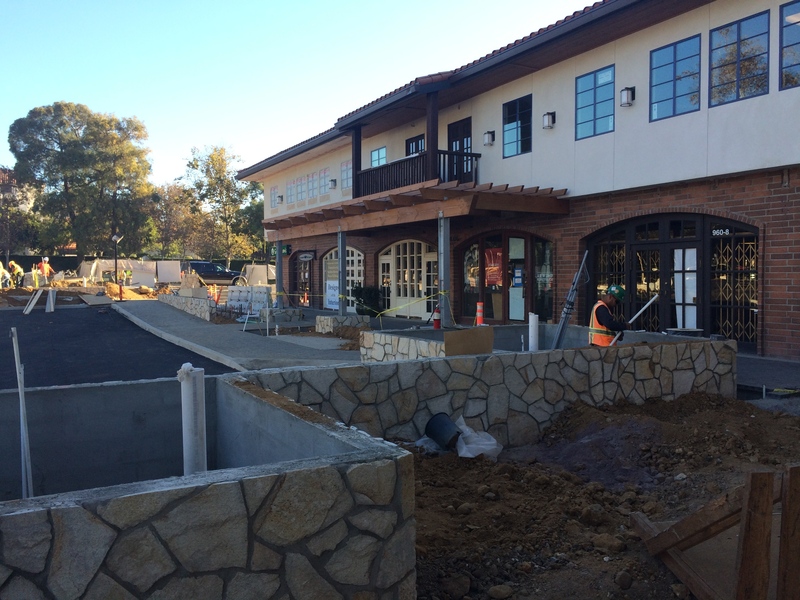 Located in the heart of the City of Thousand Oaks, situated on the corner of Westlake Blvd and Agoura Rd; this is the dominant shopping area center south of U.S. 101. The center is located within an affluent neighborhood with high average household income and offers strong lifestyle mix of national retailers and local boutiques. The neighborhood is home to 43,083 residents within a 3-mile radius, with an average household income of $141,574. The Center is currently supported by a strong and stable mix of existing and new tenants, uniquely being anchored by three large grocers – Sprouts Farmers Market, Vons, and Gelson’s. Other tenants include CVS, Chase, Carriage Cleaners, AIM Mail Center, Salon HG, Advanced Optometrics, Sea Casa, East Coast Bagel, M. Frederic, Core Power Yoga, Pearl District, Sugar, Galletto’s Cafe & Grill, The Natural Cafe, Montecito Bank & Trust, Coffee Bean & Tea Leaf, Siany, Tuscany il Ristorante, Les Boudoirs, Drybar, Sole Soothing, Pitfire Pizza, The Sweat Shoppe, Mendocino Farms Sandwich Market, Engel & Volkers, Senna Cosmetics, 18 | 8 Fine Men’s Salon, Designs of the Interior, Sweet Arleen’s, On Q Financial, Firefly, Jack’s Shoes of Westlake, Citibank, Bank of America, Mobil Oil, Le Pain Quotidien, Pressed Juicery, Ice Cream Lab and Wells Fargo Bank. All of the existing retailers remained open during the site and facade improvements. Construction was completed in early 2015. Check out progress photos of the Westlake Plaza & Center Redevelopment on Urban One’s Flickr page.